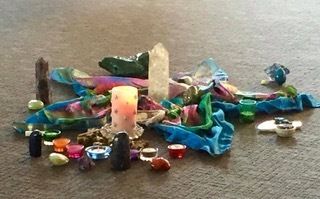 Join with us on Saturday 6th April 2019 where we will conduct an experiential workshop where we will explore our relationship with ourselves and each other through the medium of energy. Most of us are completely unaware of the personal empowerment held in our energy field. Most of us are completely unaware of the impact our personal energy has on others. Let’s explore these aspects of our energy and learn how to harness our personal power and empower ourselves to live in positive relationship with ourselves and others. This workshop can really make a difference to the quality of your life and the life of your relationships.